God forgiving as we do? That's a scary thought. 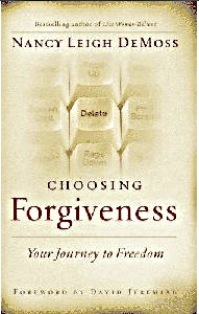 Leading author and radio host Nancy Leigh DeMoss explains how forgiving like God is a choice that frees us from the burdens of bitterness, anger, and isolation. Women and men struggling with long-held hurts will be helped and healed by Nancy's wisdom and God's truth.